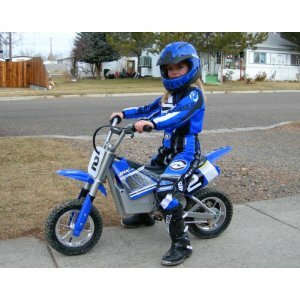 If you want a pocket bike but money is an issue, you should take hear and know that it is not too hard to find cheap pocket bikes for sale if you know where to look. First, know why you are buying a pocket bike. If you are buying a pocket bike for recreational purposes, and you have no intention of racing, you can actually find cheap pocket bikes for sale for around two hundred dollars. If you intend to race, you will have to search harder to find a good price. Pocket bikes used for racing can run up to a full four thousand dollars, depending on how much you want the bike to be upgraded. This is going to be an expensive price for many who are looking for cheap pocket bikes. When you visit a dealer, ask them if they have any defective bikes, such as bikes with scratches or dents, which they will sell at a discount. If not, check to see if they have a bulletin board, or ask if they know any individuals that want to sell their pocket bikes. Leave your name and number with them, so that if anyone comes in with a bike to sell, or if they get damaged merchandise, they can give you a call. A shop is the preferred way to find a bike, since you can see what you're getting. Your next stop to find cheap pocket bikes for sale is the Internet. There are many manufacturer's web sites that will give deals on new pocket bikes. You can also join one of the many pocket bike forums where bike owners regularly chat. Let them know that you're looking for a bike, and mention a price range. These communities tend to be fairly tight, and word will spread. Don't post your name and phone number on the website, but use a free e-mail account, such as yahoo or hotmail, and ask people who have bikes for sale to contact you there. You might be surprised at the results. You can usually find cheaper bikes on e-bay and auction sites, but caveat emptor. Go to pocket bike races in your area. Talk to the riders before or after the races, and let them know that you are in the market. They may have one sitting in the garage, or they may be on the verge of upgrading to a new bike. If nothing else, they may know someone else who is looking to sell. Keep an eye on your local classified ads as well. Take your time and shop around. If you are patient, you will find cheap pocket bikes for sale.